Niseko is renowned for its abundance of world class soft and fluffy powder. There is no better place to learn or extend your skill then on the slopes in Niseko. Not only does it cater to your very need for skiing and boarding but it also provides alternatives if you feel like a day off the slopes. See below for a list of activities offered throughout the winter months. With over 15m of snow falling each year, there is no better way to spend those winter days then out on the slopes in Niseko. With 4 resorts on the one All Mountain Lift Pass and endless powder heaven is here in Niseko. With four terrain parks in and around Niseko, there is no better place to practise those 7’s, 180’s and 360’s. Park is the new up and coming snow sport, so jump on board and have a go. Enjoy the rush of a riding a high powered snowmobile through some of the worlds best powder snow. Speed around a circuit and enjoy a ride through the trees as you take in the glorious Mt Yotei. 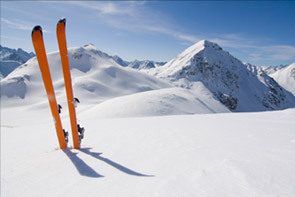 Want to find a secluded and untouched section of powder and have it to your-self for the day, then Cat Tours is a must. Journey up the mountain with your co-cat skiers and find your own little piece of Niseko.